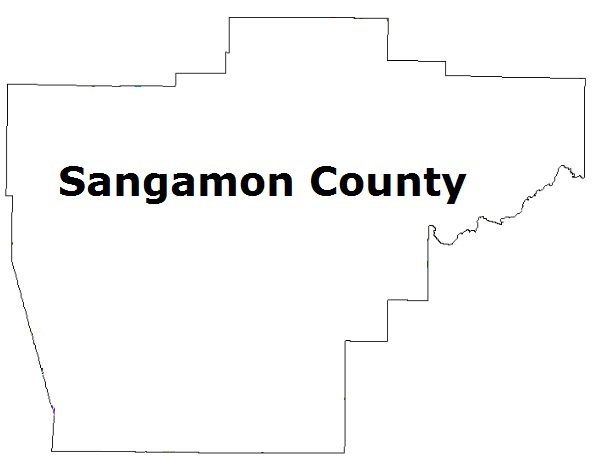 Results from the 2013 Sangamon County Citizen Survey, the first formal survey of its kind measuring local quality of life issues, have been released. The survey was a joint project between the University of Illinois Springfield Center for State Policy & Leadership, the Community Foundation for the Land of Lincoln, and the United Way of Central Illinois. It measured nine different indicators, including culture and recreation, health, economy, education, government and civic participation, environment, public safety, infrastructure, and social well-being. In measuring social well-being, the survey found that 59.5% of Sangamon County residents reported that things are generally on the right track, compared to 30.6% who believe things are going in the wrong direction. A majority of residents also rated Sangamon County as a positive place to raise children, live, and work. However, they were less positive about Sangamon County as a place to retire. 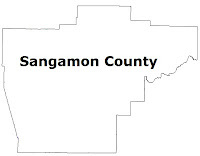 A total of 618 Sangamon County residents were surveyed in a random telephone sample between March 7 and April 9, 2013. “It’s our hope that this survey will be a useful resource for citizens and leaders across Sangamon County who want to better understand public perceptions on critical issues,” said John Stremsterfer, president and CEO of Community Foundation for the Land of Lincoln. Overall, respondents reported that the biggest change needed (if any) in order to improve K-12 education in their area was increased funding to schools. The vast majority of respondents also believe that pre-K educational programs as well as post-high school institutions are very important to the local community. “The survey provides a mixed picture of how Sangamon County residents assess the local area. What is clear is that Sangamon County residents are committed to improving educational and economic opportunities for all members of the community,” said Ashley Kirzinger, director of the UIS Survey Research Office. In addition, residents are also aware of how important the local agricultural industry as well as growing downtown Springfield are to the economy of the region. While the majority of residents are positive about the general direction of the area, there are some troubling findings. According to the report, one-in-five Sangamon County residents report not being able to afford food or healthcare for themselves or their family members at least one time in the past year. In addition, 21.2% of employed respondents reported that they consider themselves to be currently underemployed. In fact, the majority of respondents believe that current financial conditions (both personal and local area businesses) have not improved or declined in the past year. The Citizens Club of Springfield and the Springfield-Sangamon County Regional Planning Commission assisted in preparing the final report. For more information on the survey, contact the UIS Survey Research Office at 217/206-6591. The full report can be found online at http://cspl.uis.edu/surveyresearchoffice/. UIS first-year student Raygene Brice lived in a shelter when she was younger. Inspired by her excellent and involved high school teachers, Raygene developed a fierce desire to become a teacher so that she also could "change the world, one classroom at a time." Raygene wanted a smaller college, where just like her high school teachers, professors would know her and care about her success. She found the right-sized school at UIS. But how could she afford college, even at a public university, with costs rising and state funding declining? She had the academic qualifications. She had the drive to succeed. She just didn't have the money and neither did her mother. 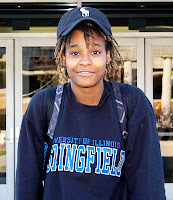 The University of Illinois' three-year Access Illinois Scholarship Initiative was created for students like Raygene. The Initiative, which began on July 1, 2011, seeks to raise support for scholarships to help students and their families offset tuition costs that have risen sharply as state funding for the University has declined over the last decade. To date, the Initiative at University of Illinois Springfield has topped $1,000,000 with more than 1,000 scholarship gifts. The Initiative will continue through June 30, 2014. For more information, including a 1:1 match for qualified gifts, please go to www.uis.edu/accessillinois. "We are excited at UIS to have passed the million dollar mark," said UIS Chancellor Susan J. Koch. “We are extremely appreciative of the community support that has made this possible. Clearly, Springfield is proud of its public university, and we are just as proud to be such a vital part of this community." For Brice, her Access Illinois scholarship made all the difference. "If I had not gotten the scholarship," she said, "I would not be in college. UIS saw I needed this, and I feel like I can't fail now."